An inventory of retail pharmaceuticals requires a substantial financial investment, and properly controlling inventory will directly impact the success of the business. 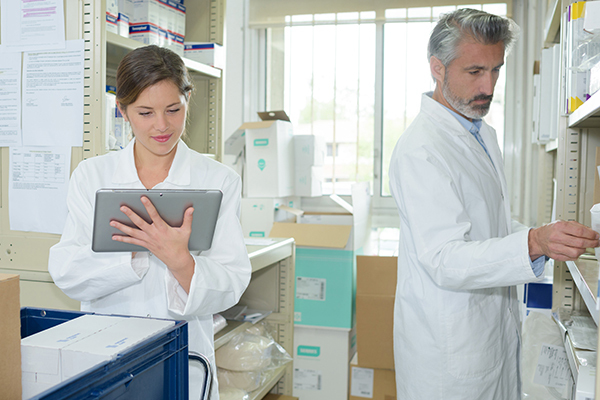 Unfortunately, poor inventory management is often a factor in pharmacies having low margins. Don’t skip out on an annual inventory. It’s important to take an annual count of the products you have in your store, using an effective system and trained staff. Respond to demand. Remember to adjust your ordering process when you notice, or anticipate, an increase or decrease in demand for a particular medication. It’s easy to go on autopilot if you’re utilizing software that automatically places orders. You should think about adjusting orders in response to demand—before you end up with too much or too little stock. Know your distributor’s return policy. Take a few minutes to read the return policies of any distributors you are using, or simply ask your sales representatives. You’ll want to also make sure your pharmacy has an effective method of catching overstock situations and determining if it is time for returns before the drugs expire. Talk to patients about their medications. Communicate with patients who pick up expensive or less commonly prescribed medications. If the patient will be requesting this drug regularly, you need to know for inventory management. Think OTC numbers too. You want to practice smart inventory strategies on OTC items too, but empty store shelves can be an unattractive look for any retail setting. Think seasonal when stocking up on certain products, such as cold medications or allergy relief. Be aware of your most popular items for your store, and keep these products in stock. Properly stocked shelves convey the image of a successful business that’s ready to meet customers’ needs! When inventory is maintained efficiently, customers are satisfied and funds are available for business improvements or other investments. Remember, if you need a generic drug supplier with a hassle-free return policy, Real Value Rx is ready to meet your needs.